Why did Lambert Simnel’s Rebellion Against Henry VII Fail? 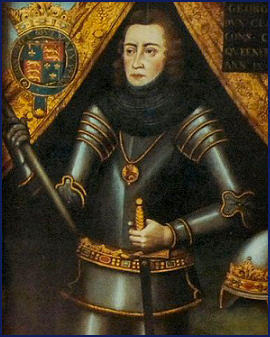 Lambert Simnel claimed to be the Earl of Warwick, the eldest son of George Duke of Clarence and Isabel Neville, who was in Henry VII’s care in the Tower of London. [i] The success (or failure) of Simnel’s rebellion hinged on the Earl of Warwick – Henry VII could prove that Simnel wasn’t Warwick. [ii] Obviously, Simnel wasn’t Warwick because Warwick was in the Tower, and can’t be in two places at once. The idea for passing him off as Warwick came about after it was rumoured that Warwick had escaped from the Tower. The initial idea was to have passed him off as one of the Princes in the Tower. [iii] After the death of Edward IV and the disappearance of the Princes in the Tower, Warwick was the next in line to the throne, even though his father had been indicted for treason. What did sway public opinion were the actions of Margaret, Duchess of Burgundy, who supported Simnel and recognised him as her nephew. [iv] This added foreign support to Simnel’s cause, and it was probably only the fact that Henry VII could produce the real Warwick that saved his throne. Simnel was trained by a priest to turn him into a feasible Warwick. How long it took is unknown and who supported him is also unknown. [v] Having a noble and public benefactor would have been extremely positive in his cause. It has been suggested as a foreign monarch, although the Earl of Lincoln was a public supporter. It is likely that the Earl of Lincoln was at least part-funding Simnel, and that he wanted the crown for himself. [vi] If that was the case, Simnel was doomed to failure and would have been killed, no matter the outcome. 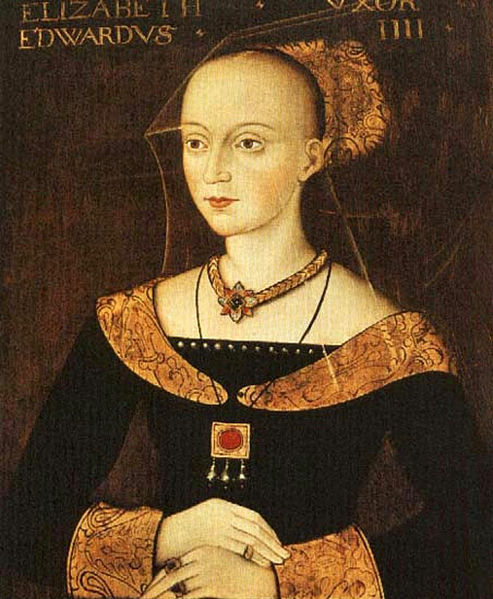 Henry VII locked away Elizabeth Woodville, the Dowager Queen of England (wife of Edward IV), as she was a reminder of the House of York, whereas Henry was from the House of Lancaster. [vii] Elizabeth Woodville could also provide a rallying point for Yorkist opposition to the Tudors who were, after all, from an illegitimate royal line (Beaufort family). Elizabeth Woodville obviously wouldn’t want to do that as her sons were dead and her daughter, Elizabeth of York, was thus the heir to Edward IV and York, and Queen of England. At the end, Henry VII had twice the number of soldiers on his side as Simnel had. [viii] Numbers, of course, aren’t everything, but they do help! Nevertheless, Henry VII had a lot of noble support on his side, whereas Simnel was generally reliant on foreign support who didn’t really care who won in the end as long as they got money and treasure. When Henry VII killed Richard III at the Battle of Bosworth, he had the alienated nobility on his side, but with Simnel’s rebellion, Henry still had the noble support required to beat it. [ix] If Simnel had the support of the nobles, as Henry VII had, then he could possibly have beaten Henry VII and ousted the Tudors. Henry VII didn’t execute Simnel, but put him to work in the palace kitchens instead. [x] Humiliation was seen as better than execution for undermining him. By putting him to work in the kitchens, Henry VII saw that he was putting Simnel in his rightful place. Little is known of Simnel’s later life, apart from the fact that he appears to have become royal falcolner, and later transferred out of royal service. His death date is also unknown, though it appears to have been sometime between 1525 and 1535. [xi] It seems that neither Henry VII or Henry VIII really saw Simnel as a threat once he had been captured at the Battle of Stoke, the same time that the Earl of Lincoln was killed. Lincoln was seen as more of a threat, and Simnel as more of a tool to aid Lincoln in his quest for the throne. Next Next post: How Far was Mary I Influenced by the Life and Memory of her Mother, Katherine of Aragon?